When the moon is in the seventh house and Jupiter aligns with mars, gays in New York City have a reason to rejoice, and ladies & gentlemen that time is now. This year not only brings us revivals of seminal works Angels in America, Torch Song and Boys in the Band, but also Summer, The Donna Summer musical (starring the fierce Tony winner LaChanze and the family’s own Ariana DeBose). 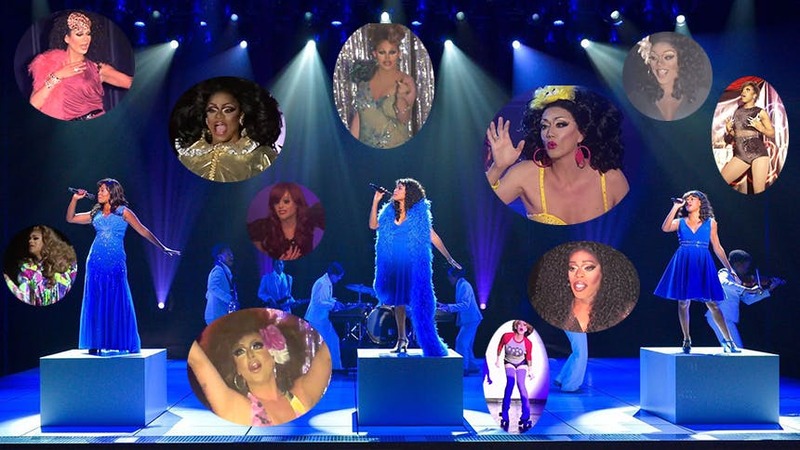 Yes, Ms. Donna Summer and her beloved catalog of music have found their way to Broadway at the exact same moment the Emmy-winning drag competition RuPaul’s Drag Race airs its already epic 10th season. To celebrate this gay fantasia on national themes, we present the legendary queens from Drag Race lipsyncing their best Donna Summer. Manila Luzon Vs Delta Work Iconique Lip Sync For Your Life to "MacArthur Park"
All Stars 3 Chi Chi DeVayne Dances the Hell Out of "Last Dance"
Season Three Winner Raja Serves Boa, Hat, & Moves for "On the Radio"
Season 8's Robbie Turner Is Back on Her Skates for "Bad Girls"
One of the Ultimate All Stars, Raven, Gives You Life in Her "Heaven Knows"
Everyone's Favorite Kooky Queen & All Star Tammi Brown Puts Her Spin "On The Radio"
Ending It With Season 10 Standout Mayhem Miller Giving Us Her "Last Dance"
See these songs and more come to life in Summer, the Donna Summer Musical at Broadway’s Lunt-Fontanne Theatre. TBT: Pearl Bailey In Her Tony-Winning Turn as Dolly Levi in Hello, Dolly!